Successfully saved Beef Standing Rib Roast (Prime Rib) to your Calendar. You can also save the ingredients to your Grocery List. Recipe video above. The juiciest, tastiest, BEST roast beef in the world is Prime Rib!! 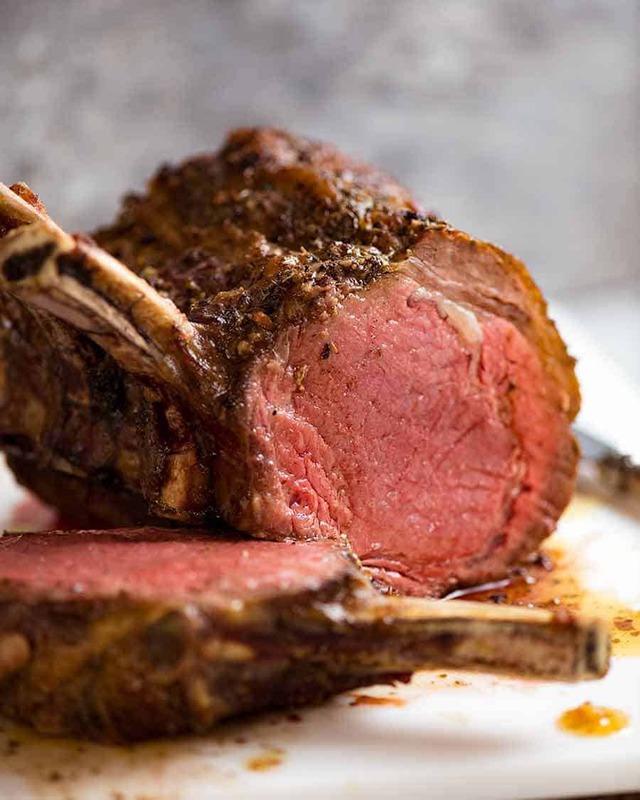 Also known as Standing Rib Roast, this is slathered in a herb and garlic butter, then roasted to juicy perfection. By using a lower but not super low oven temperature, we can be assured of a beautiful even cook throughout the whole roast, yet still have it on the table in a couple of hours. Bonus: lower temp = more forgiving! Meat thermometer is a MUST!